"A new analyst report suggests that tablet makers will have a very hard time keeping pace with Apple's iPad 2 moving into 2012." According to an analyst from the Deutsche Bank, 45 million tablets will be sold in 2011, and 35 million will be iPads. The total expected to be in use by 2012 is about 70 million. 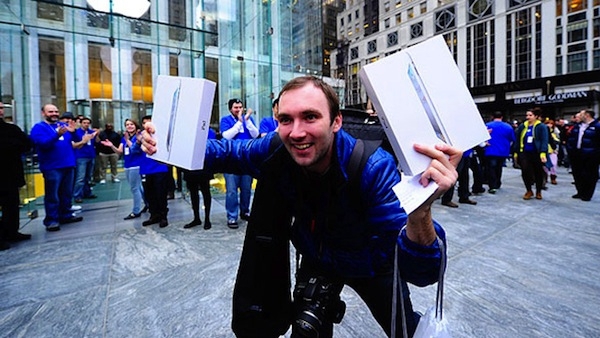 His prediction is that the iPad will maintain a 70% market share, unless the competition beats Apple on price -and- offers a superior user experience. Accordingly, his prediction for PC growth has been lowered from nine percent growth down to four percent, and he opines that about one in three tablet purchases are a notebook replacement. Finally, he believes that corporate PC sales remains strong, and that tablets aren't killing PC sales in the business world. How many of you have replaced (rather than supplemented or complemented) a desktop or notebook with a tablet?